Within Candler Road Revitalization Project One block from Interstate 20 and South DeKalb Mall Enterprise Zone - Dekalb County Revitalization Project - C1 Land Use Located at intersection of Interstate 20 and Candler Road. Within Candler Road Revitalization Project. 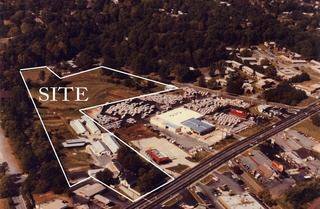 Eligible for Enterprise Zone Program; which includes 10 years of tax incentives. RM75 zoning .